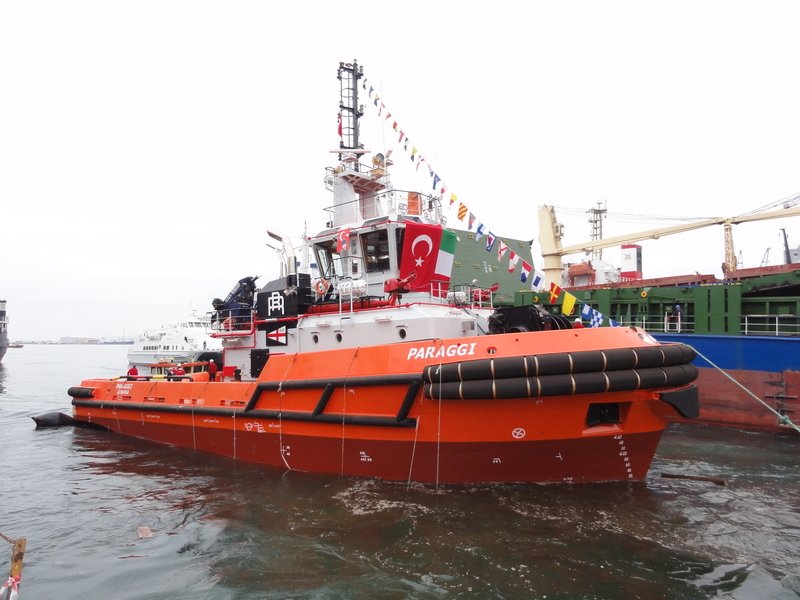 Home > News > M/TUG “BOGAZICI” (PARAGGI) Launched! launched on 7th April 2018 at Tuzla Istanbul by attendance of her new Owner’s representative. improved manoeuvrability by 160 kW electric driven bow thruster. Accommodation of the tug is designed for 10 crew, meeting MLC 2006 rules and Italian Flag regulations. The tug builder “BOGAZICI” also builds Robert Allan Ltd. design tug boats in Tuzla / Istanbul.